Great play! I will definitely implement this into my play book. 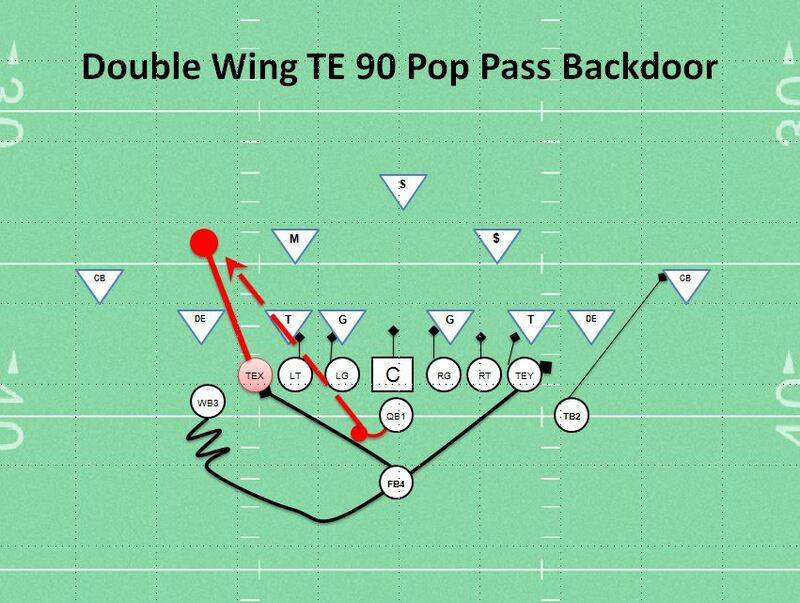 My favorite passing play in my double wing offense is my X flag or 2 flag pass. My X reciever and my 2 back (WB) are on the left side of my offense. If the X flag is called then the X reciever runs a 7 yard flag and the 2 back (WB) runs a quick out to draw the CB up. My other WB goes in motion to simulate the jet sweep which draws the “D” up leaving my X reciever one on one and usually wide open. The QB fakes the pitch and reads the CB for the open reciever (very quick read). This play usually goes for 15 – 20 yrds if the flag reciever continues to run throughout the route. Great Play Coach! I will definitely put that into our play book. We run majority of our plays out of a pistol style Set,(shotgun) Double Tight, 1WB on each side off the line, splitting the outside foot of each TE. 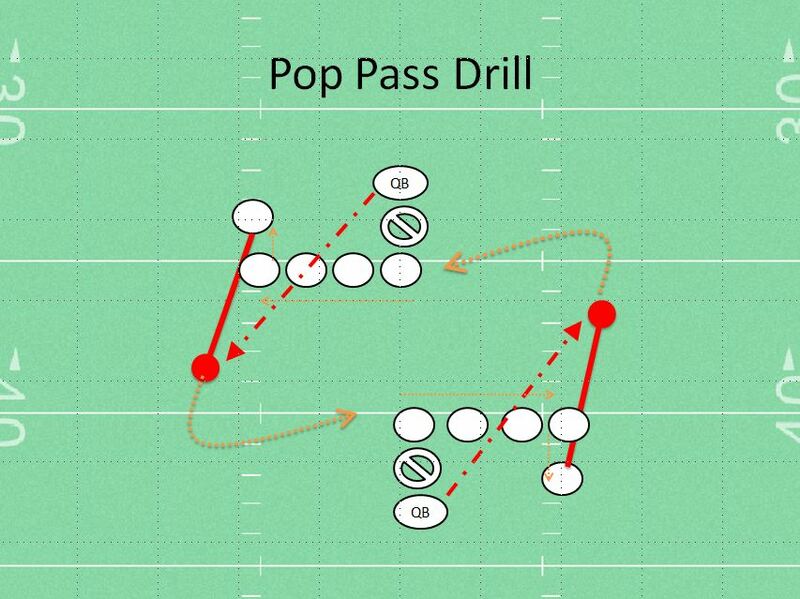 I try and establish a heavy run game and pass of the play action. I usually motion one WB to the oppiste side and that will be the side I run my stretch play to. (28 or 27 stretch or Smash), I like rocking defensive Coaches and players to sleep showing the same motion. ounce i have established the run, I show that same motion and fake the run and my backside TE would block down and delay and run a corner route 5-8 yds. My QB would Boot leg and hit the TE on the corner. this play Connects for a big gainer 95% of the time, Automatic Money!!! ITs a great play when your inside the 50 yrd line, If its not a touchdown, its at least 30-40yrds. If the Safety and LB’s are aggressive, they will bite most of the time. If they cover the TE, you can send your WB to the flats. on a delayed arrow route. If the Defense gets smart and Blitz the the backside, just simply Run! Run! Run! keep them Honest. We’ve been working on this play for two weeks. Just used it in the game for the first time this weekend. Ran right, ran right, ran right, defense overloaded right and middle – called the weak side pop pass and the TE rumbled 45 yards for the TD! Was our first pass all season. Thanks for the great play!